Russians will again take to the streets on Sunday. Tens of thousands demonstrated last week to demand an end to endemic corruption and falling living standards in Russia’s largest protests since 2012. The government has moved to block social media pages used to coordinate Sunday’s marches; anti-protest laws make it a criminal offence to organise rallies without approval from authorities. 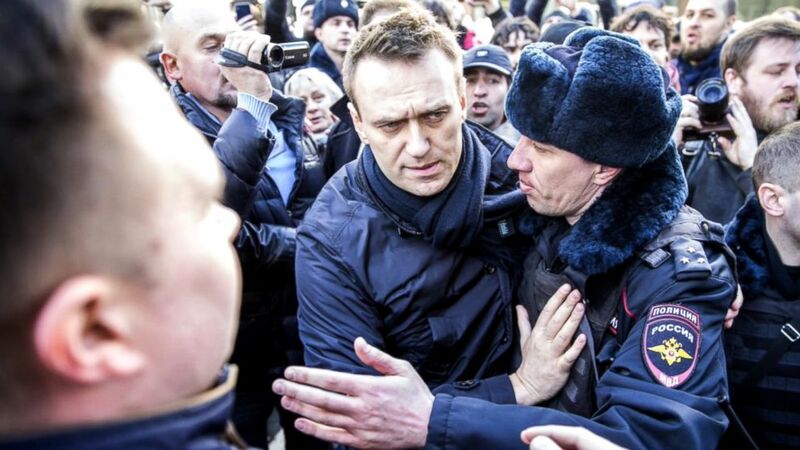 These laws were used to arrest more than 1,000 people last week, including opposition leader Alexei Navalny, who organised the protests to coincide with the 17th anniversary of Vladimir Putin’s election. Mr Navalny – currently serving a 15-day prison sentence for refusing to pay a $350 fine – is seeking to drum up support ahead of next year’s presidential election. Although technically barred from running due to an embezzlement conviction, Navalny is moving ahead with his plans to challenge Putin anyway. The dogged opposition leader wants to seize on support from Russians, who’ve been left disgruntled by a two-year recession. The social impacts of this downturn have been immense: every seventh citizen now lives below the poverty line, up 15% from two years ago. Meanwhile, spending on social programs has been slashed as the Kremlin seeks to belt-tighten amid shrinking revenues. After falling just short of the 40% threshold, Ecuador’s leftist Lenin Moreno will face off against conservative Guillermo Lasso in a second round presidential vote on Sunday. Read our assessment of the first round contest here. A former banker, Mr Lasso placed a distant second to Moreno in February, trailing the socialist candidate by more than 11%. 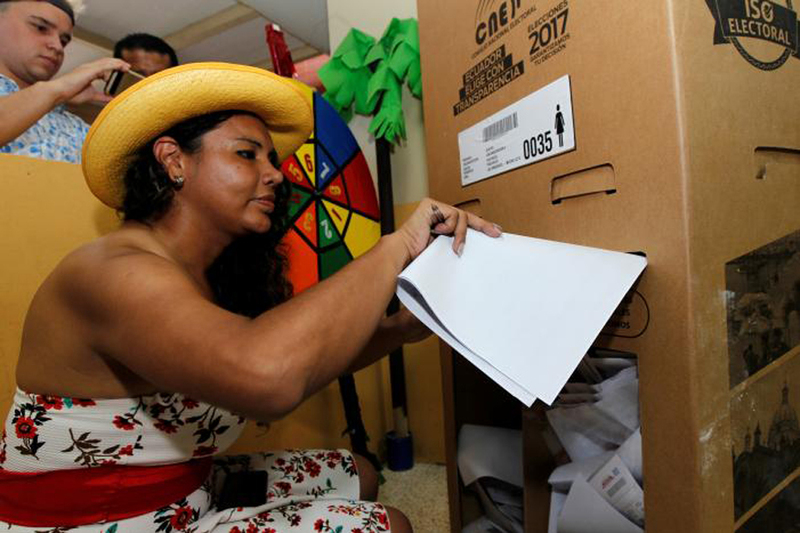 But after the withdrawal of fellow conservative Cynthia Viteri – who claimed 16% of the vote last round – Sunday’s vote is expected to be much closer. While not a global (or even regional) power, Ecuador’s election is important. For starters, Lasso has pledged to wind back President Rafael Correa’s leftist economic legacy and revoke permission for Wikileaks founder Julian Assange to remain in Ecuador’s London embassy. Mr Moreno, who’s served as Correa’s vice president for the better part of a decade, is widely seen as a placeholder president. If he wins on Sunday, he’ll be able to protect Correa from corruption suits brought by opponents and secure the top job until 2021, when Correa can legally rerun. 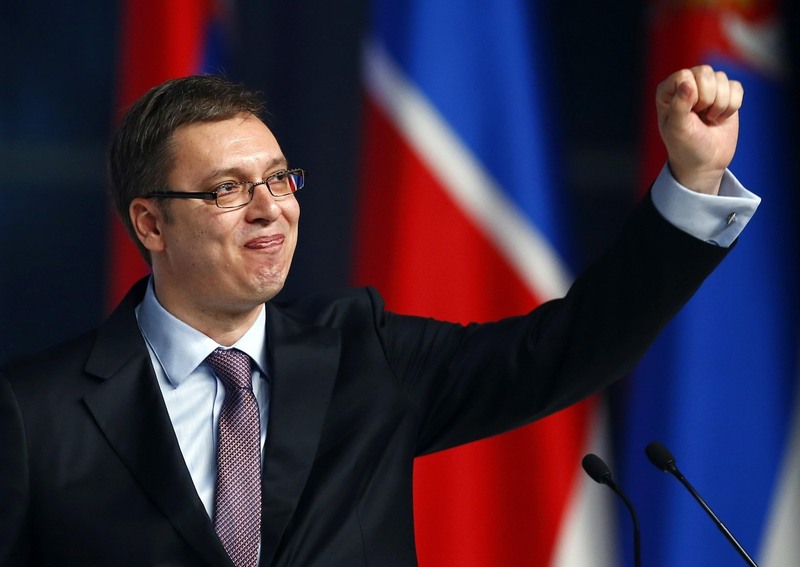 Barring a calamity, Serbia’s current prime minister, Aleksandar Vucic, will become president. Recent polls suggest this victory could be achieved on Sunday, when a first-round vote will be held; if not, Vucic will cruise to victory in the April 16 runoff. Sunday’s election is the third in four years. As leader of Serbia’s Progressive Party, Mr Vucic called a snap election last year in a bid to strengthen his mandate but miscalculated and ended up with less support. His bid to secure the presidency, a secondary role in Serbia’s parliamentary democracy, is perceived as an attempt to reinvigorate his image. But Vucic will also seek to maintain substantial influence over the country’s trajectory by appointing a cooperative prime minister. Just who that will be is the question on the minds of many Balkan analysts. Foreign Minister Ivica Dacic is believed to be the front-runner for the top job. As the leader of the nationalist Socialist Party, Dacic has given his support to Mr Vucic’s presidential bid – unusual in a country where parties normally field their own presidential candidates. Armenia will hold parliamentary elections (Reuters). An Egyptian court is expected to issue a(nother) final ruling on the controversial Red Sea island transfer to Saudi Arabia. The Supreme Administrative Court rendered the deal invalid in January in what was meant to be a final ruling. But a new lawsuit claimed that the ruling was “out of context”, laying the groundwork for a verdict from the Cairo Court for Urgent Matters on Sunday.